Raise Your Vibration with Essential Oils! Everything in the universe is made of energy that vibrates at different frequency levels. Even seemingly solid objects like a rock, or your physical body are now understood by scientists to be made up of constantly moving energy that is organized by waveforms and frequencies. The rate of frequency you (or an object) vibrates at is called your vibration. By raising your personal vibration, you are able to more fully align with the life you want to live. The process of raising your vibration will create a ripple effect that will overflow throughout every aspect of your life (mind, body, and spirit). Positive effects of raising your vibration include experiencing increased health and wellbeing within your physical body, clarity and peace of mind, balanced energy, and a clear and real connection with your guides, angels and the realms of spirit. With a high personal vibration you also empower positive manifestation, spiritual growth, and increased joy, love, and fulfillment in your life. If you are currently vibrating with a low personal vibration, you may be experiencing health issues, challenges in your relationships, toxic emotions like fear, pain, or anxiety, and all sorts of other undesirable symptoms that can be remedied by simply raising your vibration. 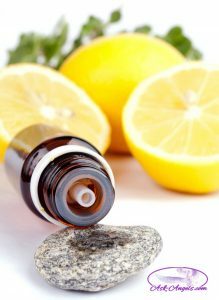 There are many ways in which you can raise your vibration but one of the quickest and most effective ways of increasing your personal frequency is by using essential oils. Essential oils have been used for centuries for their healing and uplifting properties. Through scientific clinical research, essential oils have been shown to vibrate at a higher electromagnetic frequency than any other substances measured. For example, disease within the physical body was shown to set in at vibrations below 50 megahertz (MHz). Canned and processed foods were measured to have a vibration of 0 MHz. Fresh herbs and produce vibrated around 15 MHz. The Young Living essential oils tested ranged from 52MHz and were shown to vibrate as high as 320 MHz in the case of Rose essential oil! Most Young Living blends vibrate at 80 MHz or higher… A very high vibrational frequency! By smelling, diffusing, and applying Young Living therapeutic grade essential oils, you can almost immediately raise your vibration. Think of it this way… Your natural state of being is high vibrational… But factors like negative thoughts, processed foods, and toxins in the environment will cause your vibration to drop. 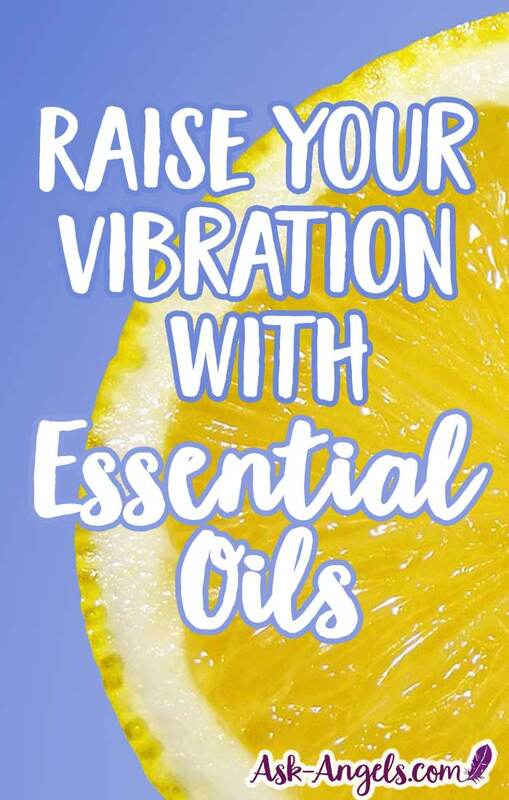 But in the same way your vibration is able to drop when you’re exposed to lower vibrations, you can easily raise your vibration by exposing yourself to high vibrations, like essential oils. Using essential oils to raise your vibration will not only help to improve your mental concentration, and spiritual connection, but you can also create an environment within your physical body in which bacteria, viruses, fungus, and disease cannot survive. With essential oils you can boost your immune system and dissolve blockages in your physical body before illness sets in. Not All Essential Oils Are Created Equally! I do want to point out that the vibrational benefits of essential oils are only true in terms of the purest therapeutic grade essential oils… Like those you can get through Young Living. Many other brands of essential oils are chemically processed, diluted, or even stored improperly which significantly lowers or alters their vibration. But in their purest high vibrational form, essential oils are truly amazing tools and gifts from nature. Essential oils can help us heal, and lift in vibration to experience true and lasting health, well-being, joy, love, and a fulfilling spiritual connection. Raising your vibration with essential oils can also help you to detox your phsyical body and reverse aging up to 30 years! I am offering a super special deal for Ask-Angels.com readers who want to start benefiting from Essential Oils for increased health, well-being and even abundance. Get started with Essential Oils here~! If you like this post or know someone who could benefit from this information, please share! What essential oils can I use instead of lavender as I seem too be allergic to it? Comment Weldone My Angel, I wish to get this Oil, But my master card does not permitting my order, am totally worried. Which oil will be useful to decalcification of body and how we should take it…. Oregano oil, taken internally (with carrier oils) will decalcify the pineal gland. Thanks for that suggestion! Oregano oil is really powerful on so many levels! I am really enjoying reading all the information you have posted here and in your emails you have been sending me. This is awesome. Please keep them coming. Well written article re: Young Living Essential Oils; thank you! I am a distributor of their products and absolutely know they have improved my health in mind/body/soul. Can the oils stop chronic UTI infections? Are there any testimonials? How many drops do I use in my diffuser? i was told today that my sister had a bump on her scapula that was called something like an Agel stump or bump. Have you ever heard of this and if so what is the significance? thank you for your help and i enjoy what your website offers. Another Gem from Melanie…..look forward to more !